The ‘Lincoln English Language Assessment’ (LELA) is designed to help students at the University of Lincoln whose first language is not English. This one-hour assessment will help us recommend the right level of in-sessional courses for you (Intermediate, Upper-intermediate or Advanced). Previous student feedback shows that students prefer to be in classes with peers of similar level, so this is why all students who wish to attend in-sessional courses are required to take this assessment. Don’t worry, it’s not a pass or fail assessment and there is absolutely no need to study or revise beforehand. The LELA has 3 sections: Integrated Reading & Writing, Grammar and Listening. Your student ID no. (letters and numbers. E.g. XUX12345678). You will be sent a calendar invitation by email for your chosen LELA session with the location (room number) included. To confirm your booking, click ‘Accept’ and chose ‘Send the Response Now’. This will save your booking to your calendar. Please note all emails, including the calendar invitation, will be sent to your student email address. We know you will probably have lots of questions about the LELA, so we have provided a list of questions and answers to help you below. Do I have to take the LELA before registering for courses? Yes, this is part of the registration process. If you have not taken the LELA, you cannot attend the courses. What happens after I take the LELA? You will receive an email (to your student email account) with your results and Individual Learning Plan (ILP). You will receive this within 4 days of completing the assessment. Your ILP will tell you which classes will help you most, and which level of class you should register for. I have attended classes before and did not take the LELA – do I still have to take the LELA before registering for courses next term? Yes, all students that want to attend our courses must take the LELA. Students who haven't taken the LELA will not be permitted to attend classes. I took the LELA earlier this year, do I need to take it again? No, you only need to take the LELA once. Can I take the LELA again if I want to? Your LELA result must be at least one year old. Retaking the LELA again will help us assess whether you should continue at the same level of course, or progress to the next level. 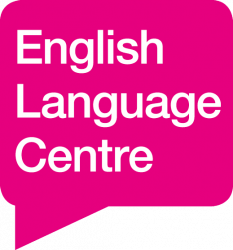 If you have a question that is not answered here, please email englishlanguage@lincoln.ac.uk and we will help you.